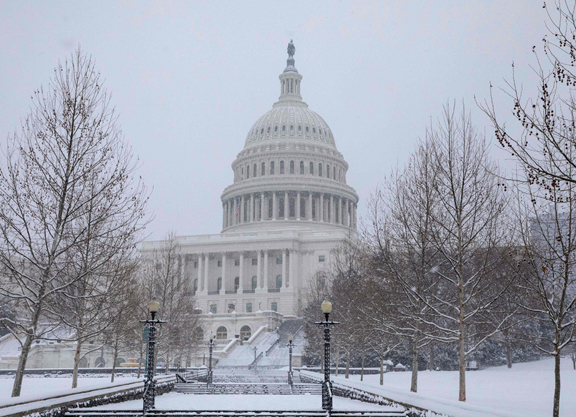 When the 115th United States Congress ended Jan. 3, the federal bill that would have established an authority to create and implement a national uniform medication program for the sport expired along with the legislative session. The Horseracing Integrity Act of 2017 never advanced past the Congressional subcommittee level. But at least that was a step further than the similar Thoroughbred Horseracing Integrity Act of 2015 ever made it. In the end–like 21,806 other pieces of legislation that were introduced but never came up for a vote in the last two Congressional sessions–both racing bills met the same fate: legislative death. With Capitol Hill even more gridlocked and partisan than usual considering the ongoing partial governmental shutdown, you’d think that Thoroughbred reform legislation would be a low priority right now. However, staffers from the offices of the co-sponsors of the previous versions of the two racing bills–Congressman Andy Barr (R-KY) and Congressman Paul Tonko (D-NY)–confirmed to TDN last week that a retooled 2019 bill is in the works and likely to be introduced early this year. When queried as to what might be different in the 2019 version of the integrity act or what the legislators learned from previous go-rounds to improve the bill’s chances of passage, both Congressional camps were light on details other than to say they are currently working through the text, deciding who will be the primary sponsor of the bill, and figuring out the best time to launch it. Action louder than words in Arizona? “Integrity” has been a big buzz word in the sport for the last decade or so. But how often do you see a regulator taking a strong stand in the name of safety the way the vice chairman of the Arizona Racing Commission did last Thursday when he abruptly stormed out of a meeting just as the vote came up for the three-year license renewal for Turf Paradise? According to a story first reported by AZCentral.com, commissioner Rory Goree toured the backstretch of the Phoenix track earlier this month after a fire burned through two tack rooms. At the Jan. 10 meeting, he said he was appalled at finding “glaring safety problems” that included missing, outdated, and non-functional fire extinguishers and smoke detectors. He added that Turf Paradise has a history of safety issues, and that there’s a lack of accountability in resolving them. Despite Goree’s concerns, state racing division director Rudy Casillas later urged commissioners to grant the three-year license renewal for the track. Commissioner Tom Lawless moved for approval. According to AZCentral, Goree then stunned his colleagues by standing to announce, “At this time, I am leaving, and there will be no quorum” before marching out of the room. Jerry Simms, the majority owner of Turf Paradise, denied the commissioner’s assertion that the track has chronic problems with safety. “Safety is the most important thing to us,” he told AZCentral. According to the article, the Arizona commission is supposed to consist of five members, but has been operating with just three because of unfilled vacancies that were caused by resignations, one of which dates back over a year. With light rain, fog, and chilly temperatures that barely cracked 40F degrees in Hot Springs over the weekend, Oaklawn Park already looks like it made a winning move by pushing back its traditional opening date two weeks to Jan. 25. On the back end, the boutique meet at Oaklawn will extend through May 4 for the first time this season, running a full three weeks beyond the track’s traditional mid-April closing date. Over the past decade, Oaklawn has lost 14 January race dates to weather cancellations, and it was a no-brainer last spring when the track announced that its 2019 schedule switch would essentially trade January dates for far better weather forecasts in April and May, when Hot Springs is blooming in a riot of spring color. It will be interesting to see how the schedule switch affects the national balance of power, especially with respect to what the new overlap will mean for horse populations at Keeneland and Churchill Downs. The impact will probably be minimal in 2019. But keep in mind that Oaklawn announced this schedule switch more than six months before Arkansas voters in November approved both full casino gaming and sports betting at the Hot Springs track. As those additional forms of gaming come online (and presumably bolster purses even further), speculation will naturally turn to whether or not Oaklawn wants to continue slicing early winter race dates in favor of expanding its footprint deeper into the better weather of the spring. For years Oaklawn management has held firm in not adding a turf course, the cost of which couldn’t be justified under a January-to-April racing schedule. But Hot Springs “greens up” significantly by mid March, and what if the racing season started even later and got extended deeper into the spring? As it stands right now, Oaklawn is the highest-profile track in the country without a turf course. Might that change in the future? And what about 2-year-old racing? Would top outfits be incentivized to stick around a little later at Oaklawn for a longer spring meet if a few juvenile races popped up in the April/May condition book? (MSW races for older horses in 2019 will be carded for $77,000, escalating up to $87,000 on the track’s three premier race days). In the meantime, as the track readies for its 2019 opening, it seems as if every week the Oaklawn press office is announcing new faces that will be “following the money” to Hot Springs for the upcoming meet. Trainer Nick Zito will have a division at Oaklawn for the first time this winter/spring. And just last week, jockeys Joe Bravo and Stewart Elliott declared they’ll be based at Oaklawn. Elliott rocketed to stardom at Oaklawn in 2004 by sweeping Oaklawn’s Triple Crown prep race series about eventual dual-Classic winner Smarty Jones. He last rode regularly at Oaklawn in 2007.